The advent of T-20 cricket has seen big hitting taken to stratospheric levels and the IPL is no different. With run rates of 8 and 9 per over becoming the norm, bowlers have been reduced to bowling machine levels. The IPL has seen numerous big scores above 200 in its short life so far and the trend can only continue upwards. In the second game in the history of the tournament, the then existent Chennai Super Kings (CSK) racked up a massive 240/5 against the Kings XI Punjab (KXIP). In the second qualifier of the 2014 edition, two in-form teams met and provided a thriller of a contest. In what was one of the highest scoring games over two innings, the KXIP racked up 226/6 from their 20 overs in the first innings. The innings was piggybacked on a Virender Sehwag blitzkrieg. 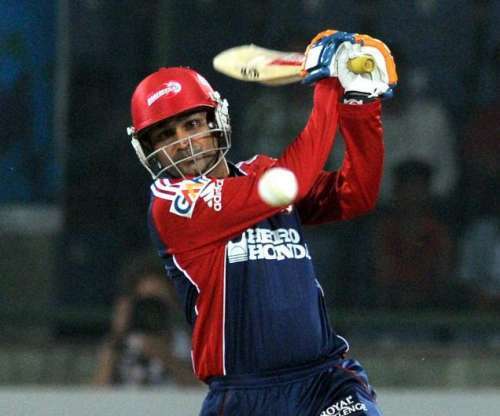 Viru smashed the Chennai bowlers to all corners of a packed Wankhede Stadium to finish on 122 off 58 deliveries before being dismissed by Ashish Nehra. Ably backed by a cameo from David Miller(38* off 19), who shared a partnership of 63 runs with Sehwag, the Kings XI plundered a Dwayne Bravo-less CSK attack to score the tenth-highest IPL team total. It was the third time in three matches that season that they had crossed 200 against Super Kings to set up a winning score. KXIP won the match by 24 runs but it almost came to nothing till Suresh Raina’s assault was brought to an abrupt end by a brilliant run-out by George Bailey. Next, we have KXIP on the receiving end. In what was a match between two teams with almost equal batting firepower, RCB hammered the KXIP bowlers to rack up the 9th highest IPL total. 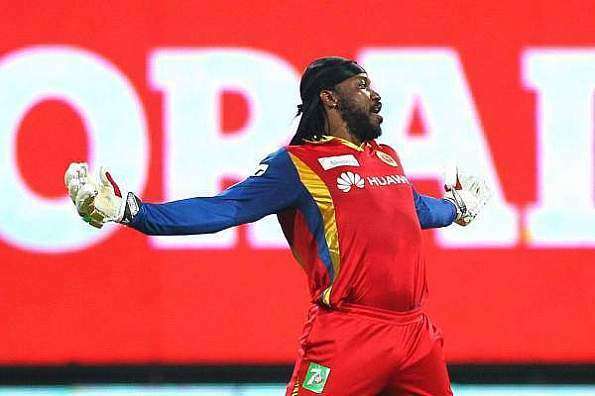 Chris Gayle, who has made a habit of scoring hundreds in the IPL, scored 117 off 57 deliveries to propel his side to 226 runs. Even after Gayle was dismissed, AB de Villiers (47*off 24) brought out all of his 360° skills and kept the assault going. It turned out to be too much for the KXIP who meandered throughout the chase and were blown away for 88 to lose the match by 138 runs. George Bailey had joked after inserting Royal Challengers that he didn't want to be chasing 250. Little did he know that his self-joke would turn out to be a near prophecy. RCB have made it a habit of featuring in the high scoring lists. With their batting firepower, they would have to. 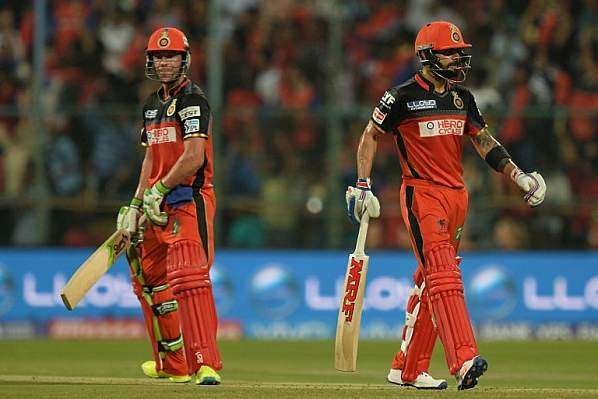 In their first game of this season’s IPL, with Shane Watson added to their already mighty lineup, RCB smashed the SRH for 227 runs. Virat Kohli (75), continuing from his scintillating form over the last couple of years and AB de Villiers (82), who cannot stop giving bowlers nightmares, toyed with the SRH attack. In an amalgamation of orthodox class and unorthodox brute force, they were relentless and with Sarfaraz Khan (35* off 10) providing the finishing touches, RCB showed that Gayle’s failure for a run cannot stop them from scoring at will. Till David Warner was at the crease, SRH had a glimmer of hope but his dismissal condemned them to a 45 run loss. Green and pacy pitch, the ball coming on to the bat, Virender Sehwag and Dave Warner (77 apiece) in full flow; add to that KXIP, who have been on the receiving end of many a hammering in the IPL and you have a huge total on the cards. That’s just what DD did do (excuse the tongue twister), cracking 231/4 against a hapless KXIP attack. Poor performances in the matches leading up to this one due to a lifeless Kotla pitch, resulted in Viru asking for a pacy track and getting one. So brutal was the assault, that a classy 46 ball 95 from Shaun Marsh which deserved to be on the winning side, was nowhere near enough, as DD romped to a comfortable 29 run win. That the KXIP appear the most number of times in this list is a testimony to the fact that they have one of the most explosive batting line-ups and one of the leakiest bowling attacks. This time, they feature on the positive side, carting the CSK bowlers (once again) all over the park. On a fresh Cuttack pitch, which was hosting its first game, Glenn Maxwell (90), David Miller (47) and George Bailey (40*) propelled their side to the sixth highest IPL total of 231/4. Maxwell was brutal especially on Ravi Ashwin, who was carted for a couple of sixes over midwicket before being dispatched over third man off a reverse sweep. 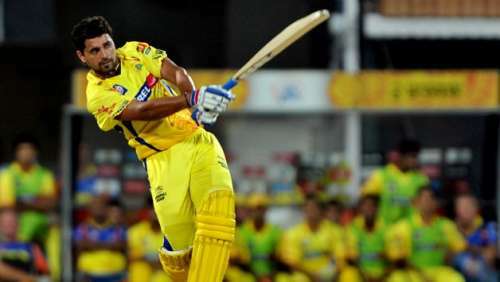 It proved a mountain too high to climb for the famed CSK lineup that fell 44 runs short, despite the best efforts of Faf du Plessis, who made a valiant 52. Violence in the land of monks is how one could describe the assault that Adam Gilchrist and Shaun Marsh laid onto the RCB bowlers. 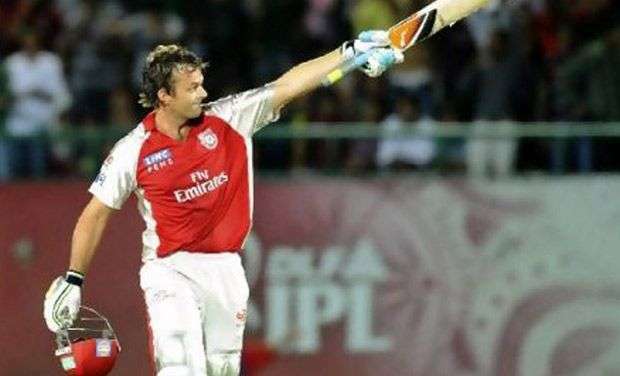 In a throwback to his glory days, Gilly launched a fearsome tirade of boundaries which included nine sixes en-route 106. Marsh too was not to be kept quiet and in the form of his life, carted a poor Johan van der Wath for 30 runs in an over to continue the carnage after Gilly departed. It would prove too much for RCB, with Gayle and Kohli’s failures condemning them to a massive loss. ABD! ABD! ABD! After listening to these cheers, one would be forgiven to think the match was being played in Cape Town; or Bangalore at best. But the sporting Mumbai crowd dumped loyalties and cheered every shot the South African maestro played as he demolished the MI attack. 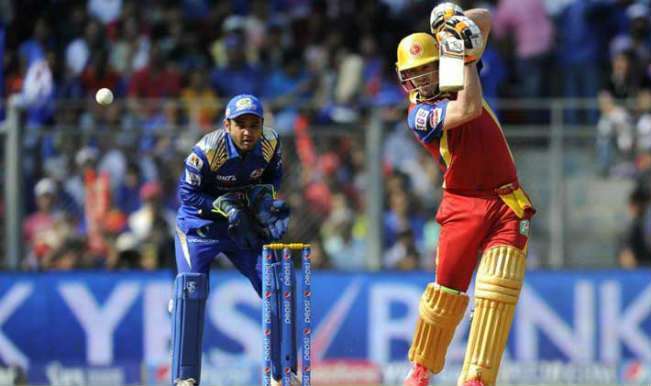 On a flat Wankhede strip, De Villiers’ innings was carnage combined with the audacious, scoring an unbeaten 133 at a paltry strike rate of 225.42. That Virat Kohli (82* off 50 balls) was just support cast, displays the dominance of AB. Lendl Simmons and Kieron Pollard of MI provided some entertainment for the home fans but it was just academic. MI fizzled out 39 runs short. In the second match of the IPL, spectators were treated to what was soon to be the norm. Coming off a brilliant Big bash league, Michael Hussey hammered a scintillating unbeaten 116 to take CSK to a massive 240/5. Scoring just seven runs behind the wicket, Hussey followed orthodox cricket strokes, scoring at will, taking apart even his compatriot Brett Lee. KXIP did all they could to chase down the total but despite the best efforts of James Hopes and Kumar Sangakarra, they lost by 33 runs. CSK were the dominant side in the IPL and their presence twice in the top 3 in this list just underlines the fact. In a match more reminiscent of stick cricket or book cricket (take your pick), the RR bowlers were toyed with. Courtesy a whirlwind knock of 127 by Vijay Murli, CSK plundered 155 in the last ten overs and 76 in the last five to end on a gigantic 246/5. Naman Ojha and Shane Watson, seemingly unperturbed by the drubbing they received, gave CSK a taste of their own medicine but Doug Bollinger’s unrealistic 2/15 made sure that Chennai held on for a victory. This was the highest score in IPL history for 3 years and 20 days till. Cometh the hour, cometh the man! Fastest century (30 balls), highest individual T20 score (175*) and most number of individual sixes (17), Chris Gayle did it all. 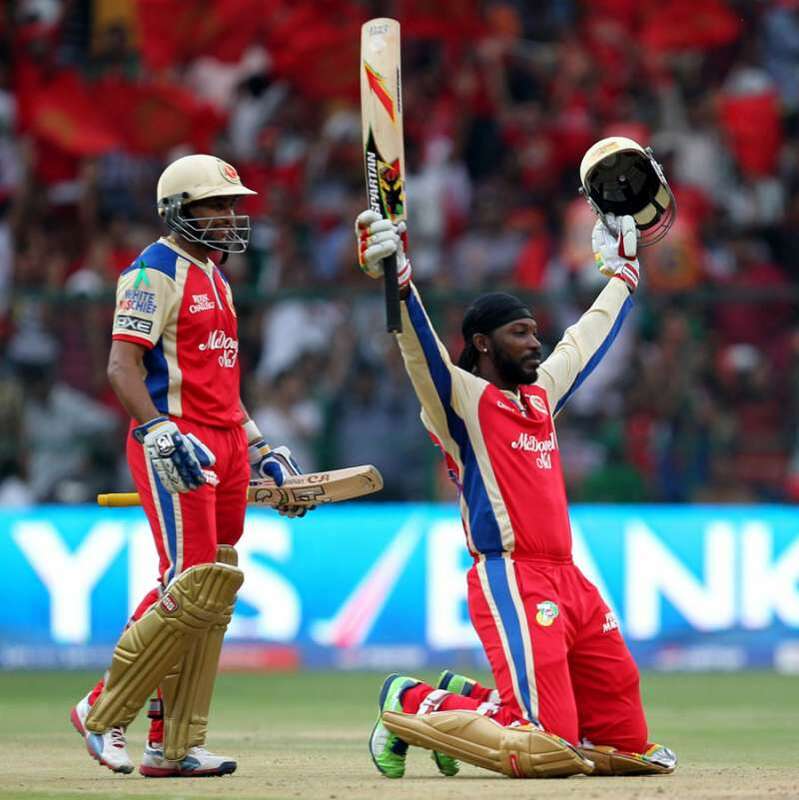 In a mind-numbing assault on the Pune Warriors bowlers, Gayle launched RCB to the highest ever IPL total of 263/5. The Warriors skipper Aaron Finch won the toss and that was the last thing to go right for PW. He elected to bowl. After a quiet first over, it began to rain. Even after the rain vanished, it continued to rain on the field. Rain sixes and fours that is. Like a military bomber destroying and airbase, Ali Murtaza for 18, Mitch Marsh went for 28 and Finch himself for 29. In the 9th over of the innings, Gayle reached his own century after which, by his own standards, he slowed down. If 75 runs for a single player in less than 11 overs is called slowing down, then yes. ABD continued the carnage carting 31 off 12. Pune could as well as have not bothered turning up. They missed the target by just 130 runs.